"Changing Times, Enduring Values" is the theme for the 2009 NASPA IV-East Regional Conference. We will gather as a region November 8-10, 2009 in Lombard (Chicago), Illinois to engage in discussion and reflection on the reality of the changing times and how important values endure, and perhaps give hope, in times of change. The 2009 Conference Planning Committee is working hard to ensure a meaningful conference experience for all attendees. The committee decided to maintain successful pre-conference programs such as the Bring a Student Challenge (a program designed for undergraduate students to learn about the profession), the New Professionals Institute, and MMOGSISP (Midwest Meeting of Graduate Students in Student Personnel). 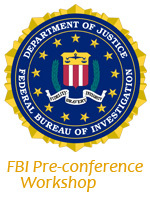 Two special pre-conference programs that will be offered this year include a newly redesigned Mid-Level Professional Institute and a FBI hosted session on campus safety. In addition, a new educational session track dedicated to Senior Student Affairs Officers, coordinated by Ed Whipple, will be added to the conference schedule. The conference site is the new Westin Lombard Yorktown Center (hotel) in Lombard, Illinois. Located 12 miles southwest of O'Hare International Airport in the heart of the Lombard/Oak Brook business and shopping corridor, it blends downtown style and sophistication with the convenience of a full-service hotel. A few perks of the Westin include free internet, free parking, a workout gym, and Westin Heavenly Beds ®. Mark your calendars now to join us in Lombard!